The DVLA is warning drivers about a fake text message scam in which fraudsters offer motorists bogus refunds on their car tax. The link leads to a phishing site, where the individual is asked to follow a series of instructions that will supposedly result in a refund if they supply personal banking details. The page appears authentic, not least because it features the official Gov.uk logo. However, the url ends in .pw, which identifies it as a non-genuine website. The DVLA said that it does not send text messages to drivers about tax refunds and advised recipients to delete any such messages and not to click the link. If you click the link you go to a page that states: "We would like to notify you that you still have an outstanding vehicle tax refund of £48.84 from an overpayment, despite our previous letters regarding your tax refund we are yet to receive your claim. Requests for refunds are time limited please use the link below to complete your refund request." This is not the first time that scammers have contacted the public posing as the DVLA. In June 2016, the organisation warned of a similar scam, where drivers received text messages, emails and even phone calls from imposters claiming to represent it, which usually asked for the victim’s bank details. 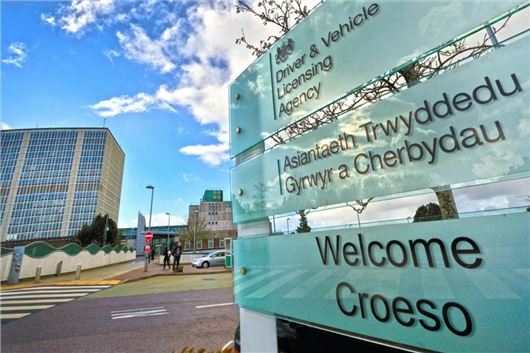 "We’re aware that some members of the public are receiving emails, texts and telephone calls claiming to be from DVLA. Links to a website mocked up to look like a DVLA online service are sometimes included in the message," says the DVLA. "We don’t send emails or text messages with links to websites asking you to confirm your personal details or payment information. We strongly advise anyone who receives such a request not to open the link and delete the item." yeh there has been endless 'tax refund' mails , if you get suckered into this, then it's your own silly fault. they are SO obviously scammers, ... and you just delete them .. anyone offering money for nothing is a scam. but will you say that when you're in your 70's and come from an era where people in general behaved honourably? I'm 73 and my missus is 76...there is mo way in the world that we'd get taken in by this. Just because we're old it doesn't mean that we're stupid. Not all older people are computer or text message savvy. It is an actual fact that they can be more susceptible to fraud and scams. No one is suggesting that you are stupid!